If you’re considering cloud-based systems for business-critical computing, you should know the pros and cons. 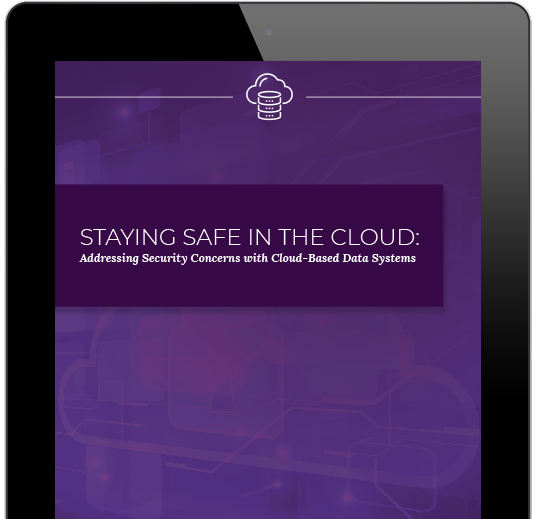 Get cloud security details in this free whitepaper. Cloud security has significantly evolved over the last decade, and businesses like yours are now enjoying the benefits of enhanced protection and increased convenience. In many ways, modern, cloud-based solutions can be more secure than company-owned data centers. Download our free guide to understand the security implications of cloud services and make an educated choice. Weigh the strengths and weaknesses of each option. Not all clouds are created equal. Which is right for you? There are several factors to consider when selecting a cloud solution. A cyber security breach of your cloud applications and data can take a significant toll on your business. Let us do the work of auditing your risks, finding and implementing the right cyber security solutions, ensuring compliance, and training your staff so you can get back to focusing on what you do best. We have done business with Computer Security Solutions for the past 8 years, and they have gone above and beyond what I would expect. Having their cyber security software installed on our PCs has not only been more cost effective but more user-friendly as well. All the experiences I have had with this company have been positive, and we plan to continue using their services for years to come.